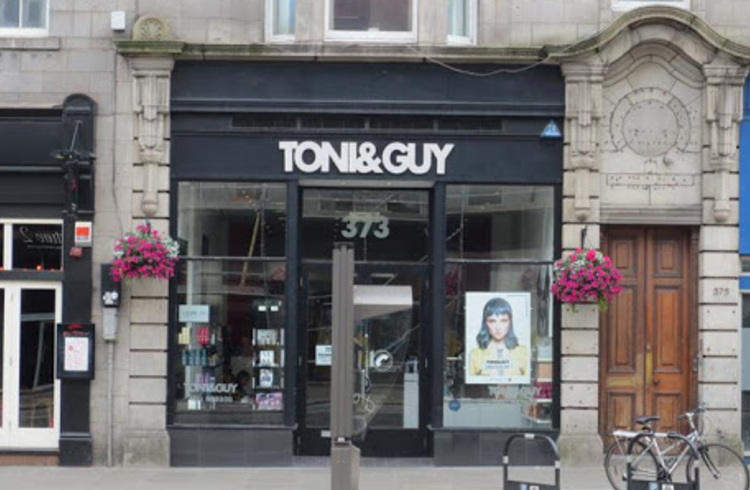 TONI&GUY hairdressers in Aberdeen opened in 1998. As a salon we pride ourselves on delivering the highest standards of customer service to each and every client. This year members of our salon will be working alongside the TONI&GUY Session Team and the International Artistic Team on catwalk shows at London Fashion Week, bringing the latest trends from the catwalk to our clients. We offer many additional services including Easilock Extensions, Bridal and Occasion hair and the NanoKeratin Smoothing blow-dry. Our wide range of haircare products includes label.m, Kerastase and GHD to keep your hair salon perfect until your next visit. Not impressed..Wont be back.One side of my hair is much thinner than other.Most people didnt see any difference despite being chargex £127. Absolutely delighted with my hair. Kyle styling was over and above my expectations. I had my colour done by Kerry and my cut done by raegen, first time ever I have walked out a salon and loved my hair. The girls are amazing. Great weekly blow dry with Kyle: Check! Great cappuccino from Margarita: Check! Great discount with WWFF: Check! Another brilliant haircut. I have been a returning client of Alana’s for quite some time now and I’m yet to leave unsatisfied. I moved here from Glasgow and had been trying to find a hair stylist here in Aberdeen for quite a while. as It can be a struggle trying to find someone who can cut my hair in the right way for me, This has often been surprisingly difficult as someone of the lgbt community. Yet another great hair cut. 'Was getting a super cut by Max, and dying my own hair but decided it was worth paying the extra...much more expense - but what a difference! Thank you Claire! The lady who did my hair was very friendly, chatty and did a great job. I am very happy and plan on coming again. As always Shelly styled my hair just as I liked it. I have been very fussy over the years but 6 years ago found Shelly, I even flew home via Aberdeen from NEw Zealand to be able to have her do my cut.